On January 16, 2013, Robert Gleason Jnr became the first person to be executed by the American criminal justice system in 2013. He was electrocuted. A Virginia inmate who pleaded guilty to a 2007 murder, Gleason had also killed two other prisoners while he was serving his sentence. Four US states offer condemned prisoners the option to choose electrocution over lethal injection. Gleason was the first prisoner to choose electrocution since March 2010. Only 157 death-row electrocutions have taken place out of 1,320 executions since the US death penalty was reinstated in 1976, according to the Death Penalty Information Center. Gleason’s lawyers had argued he had a long history of mental illness and his condition had deteriorated during a year in solitary confinement. He repeatedly emphasised that he had waived the appeals process because he knew he would kill again if he was not executed. Governor Bob McDonnell stated that has expressed no remorse for his crimes, and was found competent by the appropriate courts. The final execution of 2013 in the USA was carried out in Oklahoma State Penitentiary. Johnny Dale Black was executed on December 17, 2013. He had been convicted of first-degree murder. In 2013, there were a total of 39 executions in 9 states in America (there were a total of 80 capital sentences imposed in 2013). Just two states, Texas and Florida, were responsible for almost three-fifths of all US executions this year. A number of prominent capital punishment states, including Louisiana and Tennessee, did not impose a single death sentence in in 2013, while Maryland became the sixth state in six years to abolish capital punishment. This year was only the second year in almost two decades that America executed fewer than 40 people. Thirty two US states continue to have the death penalty as a sentencing option, while 18 states have abolished capital punishment. The total of executions in America has been falling overall since 1999, when 98 people were executed. China has a cultural history of punishment which is both swift and severe, in order to ensure the masses are educated to avoid crime. Reality TV shows have long been a magnet for millions of viewers in the UK. However, what attracts viewers in their droves for prime time Saturday viewing in central China reflects a different kind of reality altogether. For the last five years, some forty million viewers in central China’s Henan province been transfixed each week by interviews carried out with condemned inmates immediately prior to their execution. Ding Yu has interviewed more than 200 condemned Chinese prisoners, days – or sometimes only hours – before they are executed. If the aim of the programme was to bring China’s death penalty to the public’s attention, it has certainly succeeded. The programme has topped the ratings. The programme may be about to be abruptly cut from the television schedules. The TV company in the Henan province that produced the programme for over 5 years has confirmed to Western news organisations that the show has been terminated due to unspecified “internal problems”. While further clarification was unforthcoming, this happened in a context of the spotlight of international news focusing on the programmme. The programme may have represented an embarassment to a modernising regime. The BBC is broadcasting a film which includes excerpts from the Chinese programme. The dynamics of gender and the death penalty in China are instructive. Almost half of those interviewed by Ding Yu were female. A significant proportion weremothers. We know that the death penalty in the People’s Republic of China is relatively widely used. While Iran, for example, has a proportionally higher execution rate when size of the population is taken into account, China is widely agreed to execute the greatest number of people every year. This is hardly surprising, given that a quarter of the planet’s population live in China. The Washington Post has calculated that, on a per-capita basis, China has carried out approximately 30 times more executions than the USA. In 2010 Amnesty International was not able to provide definitive confirmation on the numbers of those executed in China. The government does not supply an official tally of those who are subject to capital punishment. While the figure remains a state secret, it is generally agreed to number in the thousands. The use of the death penalty may reflect a deep rooted cultural belief in China which supports capital punishment for its perceived deterrent and retributive qualities. The death penalty in China has been a state penal sanction for many centuries. Its use has been recorded by historians since the 16th century BC and the Shang dynasty. The death penalty remained the ultimate penal sanction following the Communists coming to power in 1949. Mass public sentencing rallies attended by thousands of people (in some ways reminiscent of Mao’s mass struggle) were not uncommon. The condemned prisoner were publicly denounced before being promptly executed. This has been commonly referred to in China as the practice of ‘killing the chicken to scare the monkey’; that is, to deter potential criminality. Despite the gruesome and public nature of the spectacle, it did not appear to deter serious crime. Following the economic reforms of 1978, crime rates shot up. Communist Party policy has both informed and influenced the Chinese approach to capital punishment. Following China’s ‘Strike Hard’ campaigns, which have presaged thousands of executions (we do not know exactly how many thousands), matched by the ‘kill many’ approach which commenced around 3 decades ago, China eventually began to gradually shift to the kill fewer policy stance in the middle of the first decade of the 21st century. Trevaskes, a leading criminologist, has observed that while the ‘Strike Hard’ campaign was designed to ensure ‘severe and swift’ punishment for offenders, the currently policy reflects the twin imperatives which comprise the current ‘Balancing Leniency and Severity’ policy. In essence, rather than ‘kill many’, the policy may be about ‘killing fewer’ – though not, so far, about abolishing the death penalty and killing none at all. Trevaskes describes one particular trial in 2001, when two men were convicted of murdering a total of 12 people in the course of a series of robberies. She records that the whole trial was over in less than one hour, and most of that short period was occupied simply by reading the indictment. The two defendants were condemned to death, and were immediately executed. Trevaskes records that in a period lasting just 3 months in 2001, a total of 1,781 death sentences were officially reported to have been carried out (the actual total may have been considerably more). 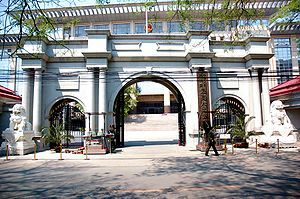 In 2004, the Supreme People’s Court aimed to implement a more restricted use of capital punishment and supported a move ‘to balance leniency and severity’ and to ‘kill fewer, kill cautiously’. Effectively this amounted to a clear attempt to limit the use of the death penalty. Until 2011, the Chinese legal system listed a total of 68 separate offences which carried the death penalty. That list was decreased to 55 offences in 2011, when the National People’s Congress Standing Committee passed an amendment which dropped 13 offences from those that had previously been eligible for capital punishment. The amendment also ended the execution of anyone aged 75 or over. The Chinese legal code states that it only applies the death penalty shall only be applied to those who have committed serious crimes. There is also what amounts to a type of probationary death sentence in use. If the immediate execution of a defendant for an offence punishable by death is not considered necessary, the death sentence can be suspended for two years. Following good behaviour for those two years, the death penalty may be commuted to either life imprisonment. or a shorter prison term. Some of those offences are not punishable by the death penalty in any other country in the world. For example, economic crimes including tax offences, theft, and corruption have attracted capital punishment, as well as murder. The death sentence for Chinese officials convicted of corruption is not unknown. In 2009, a woman named Wu Ying was sentenced to death for illegal fundraising. She had raised 770m yuan (£79m) fraudulently from 11 different people. The Supreme Court of China has commented that her sentence would be reviewed “cautiously”, which may indicate that attitudes to the death penalty – at least, for financial offences – may be beginning to change. California’s Death Penalty – On The Way Out? Community Sentences: A Problem With Perception? Policing: A Commodity To Be Bought And Sold?